What an amazing product! Iâ€™ve been a fan of britax for quite some time but after they discontinued their g4.1 line and went click tight I was forced to shop around for a lower price point. I then found the britax essentials line. This seat lives up to everything he britax name stands for! It is almost identical to my marathon. Itâ€™s high quality and installs extremely easily. It even leaves enough space rear facing in our small Mazda3. 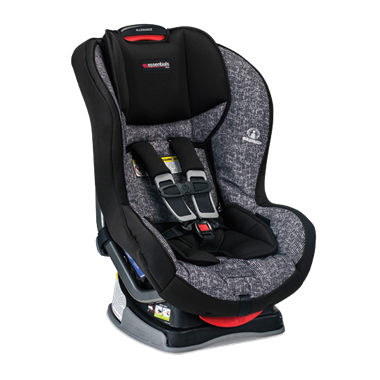 I would recommend this to ANYONE who wants a great car seat at a reasonable price point. The fabric is good quality! Came with a foot kicker/seat protector which we weren't expecting. Our daughter liked it immediately, fallen asleep in it many times already!